MANILA -- The European Union (EU), the Association of Southeast Asian Nations (ASEAN), as well as China, on Sunday expressed readiness to assist the Philippines in its recovery and relief operations as Typhoon "Ompong" (international name "Mangkhut") battered northern Luzon. "The EU Delegation expresses its sincerest sympathies to the victims and to those severely affected by typhoon Ompong," the EU Delegation in Manila said in a statement. "The EU is consistently monitoring the situation and stands ready to assist the Filipino people in this difficult time," it added. ASEAN, through its Coordinating Centre for Humanitarian Assistance, also noted that the bloc is prepared to extend all help to the typhoon-ravaged parts of the Philippines should the country request assistance. China's Ministry of Foreign Affairs said "China will help the Philippines within its capacity as soon as possible." 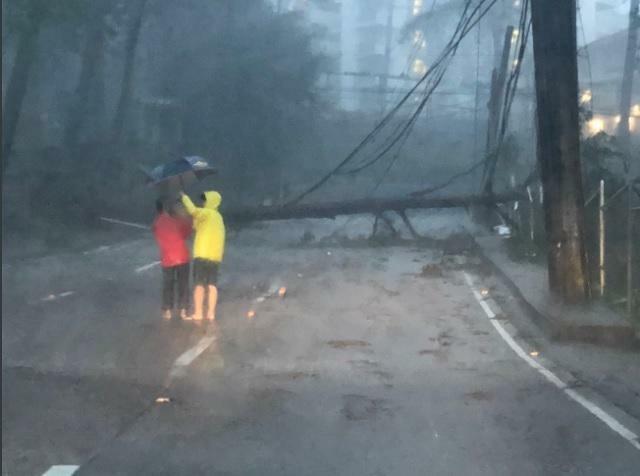 Foreign Ministry Spokesperson Geng Shuang relayed Beijing's "deep condolences" to the impact, the casualties and property loss the country suffered from the typhoon. "We believe that under the leadership of President Duterte and the Philippine government, people in the affected regions of the Philippines will properly deal with this disaster, minimize life and property loss, and restore normal life at an early date," he noted. The Chinese official also confirmed that the scheduled visit of State Councilor and Foreign Minister Wang Yi was suspended pending a new date to be determined by the two sides' diplomatic channel. "Considering the Philippine government is focusing on battling this disaster and has suggested a rescheduling, the Chinese side agreed to postpone State Councilor and Foreign Minister Wang Yi's visit to the Philippines which was previously scheduled on September 16-17," he said. "Ompong" was the strongest typhoon to hit the Philippines this year, leaving at least 54 people killed, mostly in the Cordillera region, due to landslides while authorities are still conducting search for 42 missing individuals.